The alcohol is where the similarities end, though. In Japan the beef industry is relatively new. As machinery started taking over the heavy work, the cattle, which had been beasts of burden initially, started becoming raised for beef around 1960. Due to the limited land space in the island nation, cows are generally not grazed, but kept in barns and small attached pens. The cattle are hand fed on grains, commercial fodder, cut grass, and other specially chosen feed. The practice of raising cows for Kobe beef are considered to be something of a folk art and many of the practices are shrouded in secrets. The cattle are fed beer to stimulate their appetites during the fattening period. They are also massaged with oils to soften and distribute the subcutaneous fat. In some areas of southern Japan the cows are massaged with sake (rice wine) instead. True Kobe beef, with its signature tenderness, marbling, and flavor, can only be purchased in Japan or Macao. Janice Ravndahl of Sezmu Meats, a farmer in British Columbia, Canada, started feeding her cows wine after watching Chef Gordon Ramsey feeding beer to his pigs on television. She wasn't sure how her cows would take the carbonation from the beer, so she decided to use wine instead. She started giving the animals red wine about 90 days before slaughter, sometimes straight and sometimes mixed in with the food. The cows became more vocal with one another and seemed more relaxed. Eventually, once they got used to the taste, they would show up for dinner faster when they saw the wine coming their way. Local chefs in the area say that the meat contains some complex subtleties of flavor. One commented that the meat is "pre-marinated." 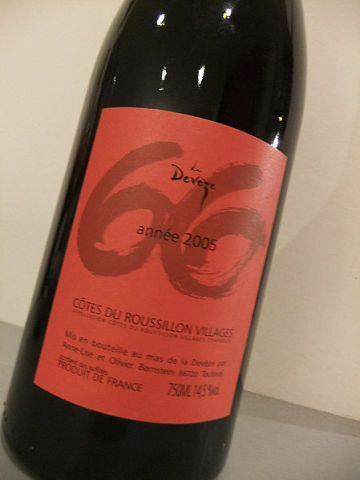 Jean-Charles Tastavy, the winemaker of A Bottle of Languedoc-Roussillon Wine (Public Domain Image), decided to experiment with the idea after hearing of people trying it in Canada and Spain. 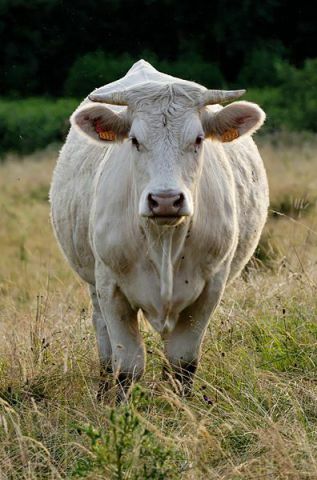 Tastavy teamed up with farmer Claude Chaballier who had extra cows that could be spared for the experiment. It started after the 2011 grape harvest when the pomace, which is the remainder of the pressed grapes, was fed to three cows along with water. The men then moved on to locally produced wine. They have adjusted the recommended healthy intake for a human to an appropriate bovine dose. Now the cows are getting up to two bottles a day. While the spirits improved the cows' spirits, it also improved the taste of the beef. The daily cost of feeding these cows has tripled with the addition of wine. This triples the cost of the meat as well, making wine-fed beef a luxury item. Chef Laurent Pourcel had a taste of the “viande de luxe” and he claims that the meat was beautifully marbled and tender with a special texture. He believes that it will find a strong market among "foodies" everywhere -- an accomplishment for which the French are well-known, though usually at the preparation end. The four month trial on the first three cows has been such a success that Tastavy and Chaballier have plans to expand the program. They also own the label Vinbovin, the French words for wine and cattle combined. A couple of pounds of this beef will run well over $100. The question still remains for the experienced sommalier or wine steward -- what wine goes best with wine-fed beef? Here's A New Business Idea - Help Dogs FInd Romance Online!